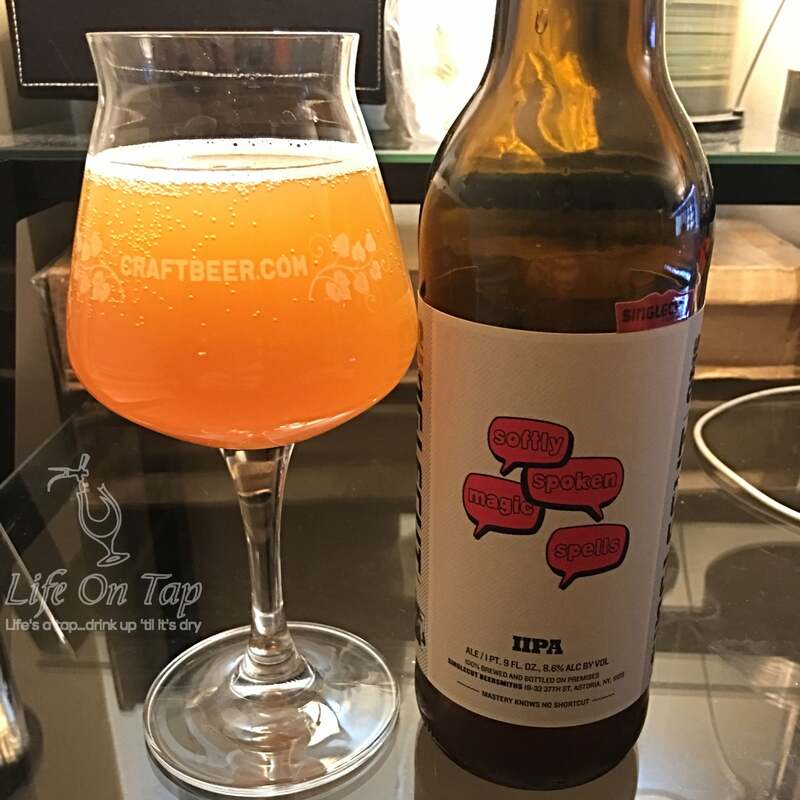 2xRye is a 8.1% Double Rye India Pale Ale brewed with three varieties of hops, five types of malts by Southern Tier as an autumn seasonal since 2013. Brilliantly clear, orange/copper, reminiscent of a nice Canadian whiskey. The pour resulted with a moderately-small head with fairly tight bubbles. Sweet aroma with a hint of rye bread as expected. Very tasty and unique. Rye-forward with the other malts balanced with the hop bill, adding to the complexity and no detectable alcohol. The rye and companion malts merge together for a textured and delightful mouthfeel with a medium body. If you are looking for a balanced fall beer, this is one to seek out. While hop lovers might not flock to this beer, I believe it will please most people’s palates. Pair with moderate, seasonal dishes. 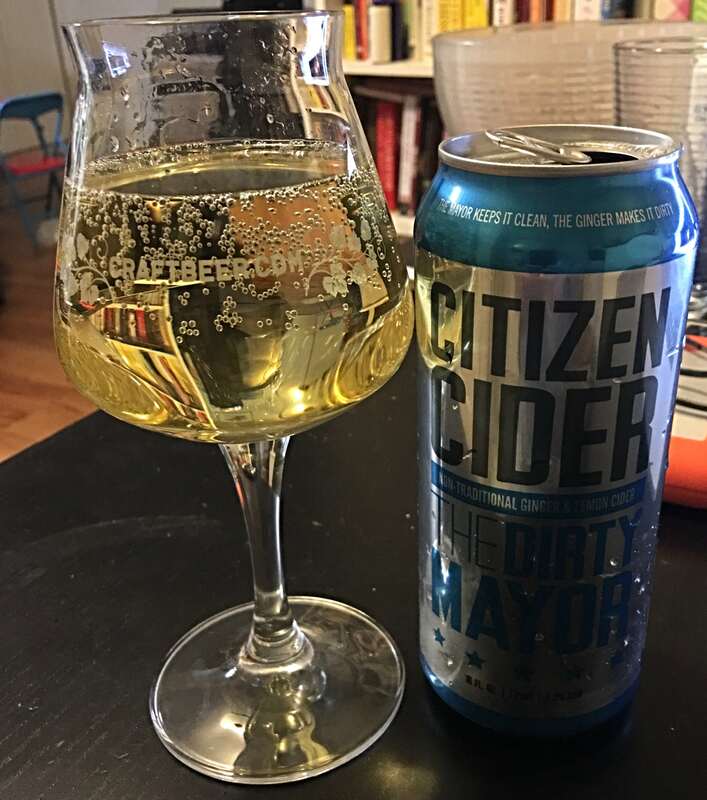 Pre-gaming for NYC Cider Week, Dan cracks open Burlington, Vermont-based Citizen Cider The Dirty Mayor. Just apple cider, ginger, lemon peel and of course nature at her best.